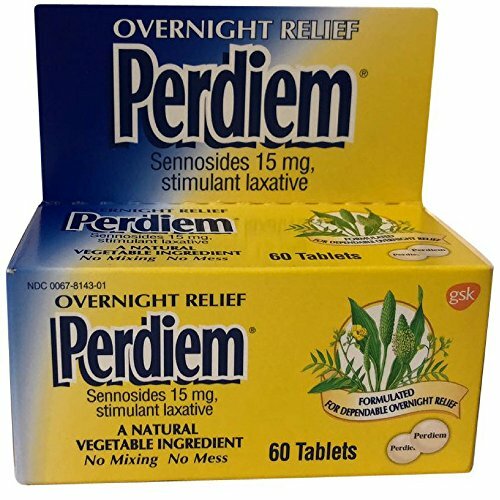 With no mixing and no mess, Perdiem is formulated for dependable overnight relief. A natural vegetable ingredient, these sennosides stimulant laxative pills contain very low sodium. If you have any questions about this product by Perdiem, contact us by completing and submitting the form below. If you are looking for a specif part number, please include it with your message.